***These titles are groups to watch and be worried about. The rest are the good guys. Do-It is a website through the University of Washinton that provides links to technology involving special education. While it isn’t pretty to look at and it discusses Universal Design in Education (often unclear) there are topics and ideas related to assistive technology that may be worth exploring. Gary S. Stager is an education technology consultant and presenter for teachers and administrators, and his website discusses the use of laptops and he provides workshops pertaining to software development, online learning, and planning. ***iNACOL is a nonprofit association advocating online education. I worry this group would like nothing better than to see the end of all brick and mortar schools for every student totally online. But it is important to understand what is happening in the world of online education. The website includes a number of reports/research, and professional development and networking opportunities. ***International Society for Technology in Education (ISTE) While many problems exist with the current push for technology involving learning, it is important to pay attention to organizations that provide information about technology. The ISTE presents corporate policy positions involving the global/digital world. Save Maine Schools Here a teacher describes in plain language, everyone can understand, the technology takeover of public schools. What is happening in Maine is happening across the country. We all need to pay attention. Screens and Kids: “Information and advocacy for classroom screen safety in Maryland schools.” The subtitle says it all. Maryland’s largest school district is Montgomery County, and they are watching everything about tech. Missouri Education Watchdog: Activist moms have it covered. A great blog with a wealth of information for the whole country about school reform, and especially technology. Some posts are long, so get a cup of coffee and plan on spending time learning valuable information. It will be worth it! Wrench in the Gears is a timely website with so many school-tech connections it will make your head spin! Everyone needs to understand how technology is invading public education and what it will mean to the future of learning for students. Technology looks to be the endgame of school privatization, Wrench in the Gears shows why this is so. Online Learning: What Every Parent Should Know. 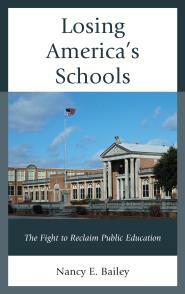 A Network for Public Education Report. This report clearly lays out the online threat to teachers and public schools. It packs a lot into 20 pages. If you’re confused about the meaning of “Future Ready” start reading about it here. “Online K-12 Schooling in the U.S.: Uncertain Private Ventures in Need of Public Regulation.” by Gene V. Glass and Kevin G. Welner. Boulder, CO: National Education Policy Center. October 2011. “Knowledge Universe and Virtual Schools: Educational Breakthrough or Digital Raid on the Public Treasury. by Gerald Bracey. George Mason University. Through the Educational Policy Research Unit (EPRU). Arizona State University. April 2004. Our Children @ Risk. EdTech Position Paper by Parents Across America. There is much background and documentation for parents and educators here. 2016. “The K-12 Virtual Primary School History Curriculum.” by Susan Ohanian. Independent Researcher. 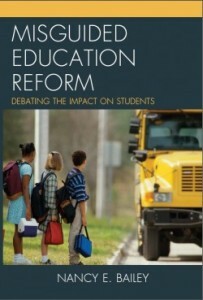 Education Policy Research Unit. Arizona State University. April 2004.